Pundits talk about Donald Trump’s “narcissism” but they miss the point entirely that much of his behavior can be understood, explained and predicted by understanding his personality type. 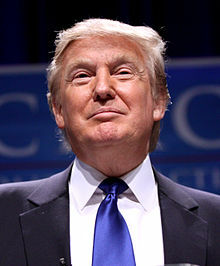 Donald Trump is a consummate ENTJ in the Myers-Briggs personality type system. They are natural commanders and make excellent generals – Gen. George S. Patton was also a consummate ENTJ. The ENTJ “cannot not lead” – they are compulsive leaders and are never satisfied if other people are making decisions that they disagree with. ENTJ’s have a strong desire to give structure or organizations and causes, to harness people to pursue grand goals. They are natural public speakers and often love public speaking. Large audiences energize them and they are very comfortable speaking extemporaneously – and often very persuasively. Because ENTJ’s are intuitive, they “know” things without requiring empirical or sensory evidence. Trump says he knows when people are being fair with him by “instinct.” It’s actually by intuition. ENTJ’s despise inefficiency, especially repeating errors over and over again. This is how Trump views the immigration problem. ENTJs are hard workers and have the ability to block out distractions from other areas of life to focus on work. ENTJ’s are so commanding they sometimes claim knowledge and expertise which they don’t really have, but they rely on their intuition and intelligence to get them through. This is why Trump has not come up with detailed solutions to major economic and social problems. These and other insights into the ENTJ personality type can be found in the classic “Please Understand Me” by David Keirsey and Marilyn Bates (not their later “Please Understand Me II” which is not as insightful). You can learn more about the ENTJ type and take a fun online version of it (not the official one but a close proximity) at Truity.com (affiliate link). Once you understand that The Donald is The ENTJ, you can practically predict his next moves. Eventually it is likely to be found that “the King has no clothes,” but meanwhile he will be a dominant force in the presidential race. Only one other Republican presidential candidate is also clearly an ENTJ: Carly Fiorina. She is a female version of Trump and it will be very interesting watching these compulsive leaders fight it out.